CM Punk, one of the greatest WWE superstars, is best known for his 2011 pipe bomb. The charismatic superstar was one of the best in-ring performers. The longest reigning WWE champion of all time left WWE in 2014 after becoming disgruntled. The 2011 WWE Superstar of the Year then went on to join UFC. But after two straight losses, his UFC career is all but over. Thus, it is high time for Punk to return to Pro wrestling where he belongs. 5. The company needs him. CM Punk’s void is still felt in the WWE even after four years. The likes of Roman Reigns, Seth Rollins, AJ Styles, Braun Strowman are not on the same level as Punk. There is a constant decrease in the viewership and WWE is missing a top drawing superstar. John Cena has become a part-timer and Daniel Bryan’s return has not been overwhelming. Thus, WWE needs a savior and Punk is their option if both sides can agree. 4. The fans wait for me. If there’s a wrestler whom the WWE universe wish to see in WWE again, it is got to be CM Punk. END OF STORY. The chants of CM PUNK! CM PUNK! Echoing WWE arenas prove how much WWE universe is in love with Punk. Punk enjoys a huge following in WWE. He has a loyal fan base who keeps on questioning him about his return to WWE. There’s no denying fact that the WWE fans are dying to see Punk back in the ring again. WWE says Roman Reigns! BOO! Let’s go to the next reason. “To be the best, You need to beat the best”. Roman Reigns is the reigning WWE champion as of now. Thus, it will give a perfect chance to ‘The Straight Edge Superstar’ to beat the top babyface of the WWE and stamp his authority. More importantly, beating Vince’s top guy will be ” best for business”. Imagine the ratings. Hmm. Interesting. 1. Punk’s UFC career might be over. On December 6, 2014, Punk announced that he had signed a multi-fight contract with UFC, little did he know what was about to come. 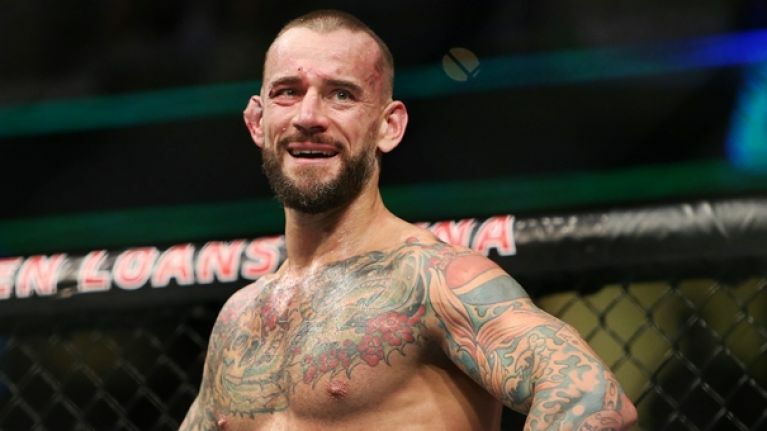 With two losses in 2 consecutive matches in the octagon, Punk’s UFC career is all but over. Thus, it is the right time for him to return to WWE where he has a loyal fan base who are dying to see him in the ring again.